VR as a concept is one of those that will take time for developers to master, particularly in the first person shooter genre. One of the biggest problems with having free motion based on your viewpoint is that there will often be a disconnect between the character you play and your movement in game. I was one of the few that adopted early, grabbing myself an Oculus Rift DK1 headset for the PC and while amazing for an in progress idea it did have its fair share of problems. Most notably when I played Half Life and having to get over the idea of moving rapidly through a first person scenario while I sat firmly still in my chair. The presence in the world was fantastic, the irksome motion was less so. So now PlayStation VR has arrived and planted the magical visor in the hands of the mainstream there had to be changes to make this a more comfortable gaming experience. 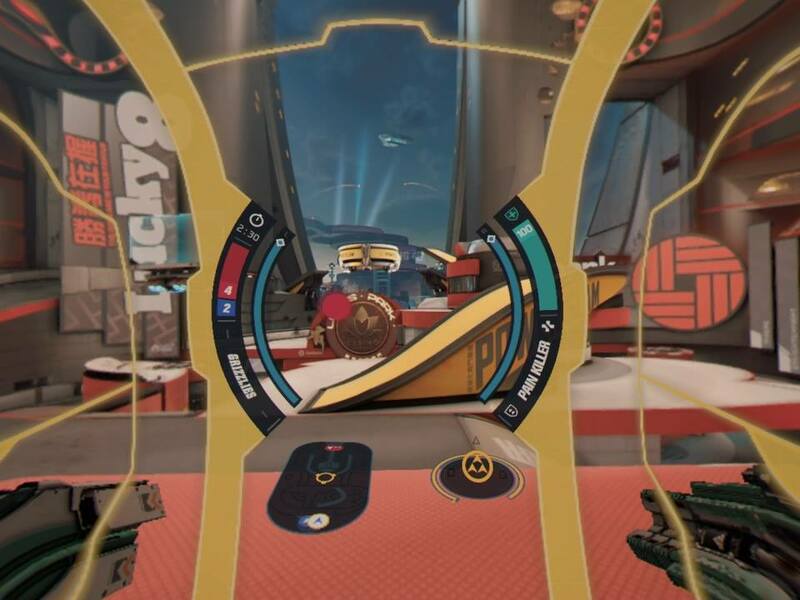 Already there has been major improvement in the way that developers approach gameplay perspectives and to my mind RIGS: Mechanized Combat League is one of the notable examples, even if it cheats a bit. 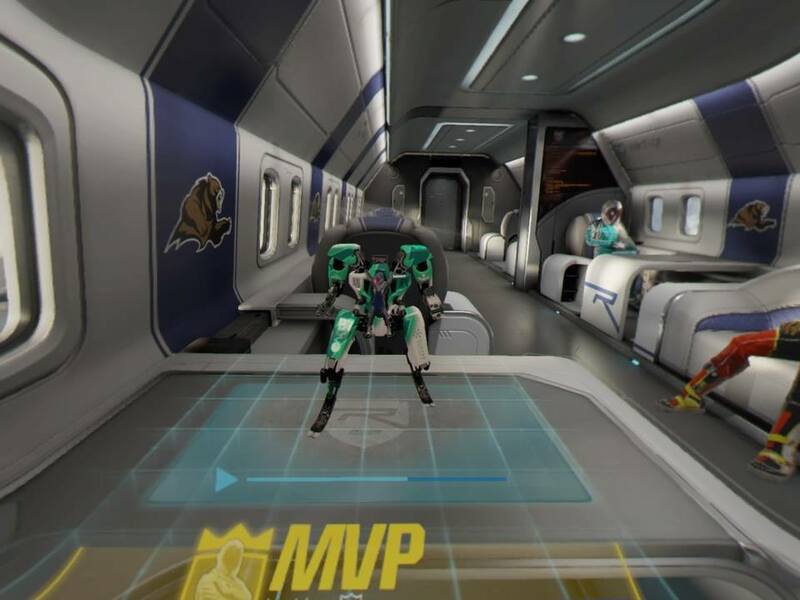 RIGS is a futuristic sports game that sees competitors take to various stadiums wearing massive robotic combat suits which allow them to take part in large scale versions of American Football and team deathmatch style gametypes. You play as one of the new guys who has to rise in the leagues to boost your fame and achieve top ranking for the team you choose at the beginning. This subplot while incredibly simple and somewhat standard is actually fleshed out to a decent degree. As you progress through the various events you can take on sponsors that reward you with credits to purchase new rigs, boost your fan count and generally help you on the way to stardom. The gameplay of RIGS can seem daunting at first, especially if this is your first time donning the PSVR headset however after a relatively in depth tutorial it becomes simplicity itself. Your RIG is controlled mostly like a first person shooter and to aim you simply look at the enemies to fixate onto them. This is something I feel wouldn’t work, having played first person VR games where a gun is controlled by your head position. In this case however RIGS just makes sense, The aiming system allows you to have full control over your rig at any time while being able to quickly snap between targets or hunt them down. It makes for an incredibly fun and satisfying control system and when the action gets intense the frenetic nature of the game can be actually in some way be felt by the player. Despite being surrounded on many occasions I never felt like I was overwhelmed or unable to handle a situation because of these controls and the sense of satisfaction after everything clicks is immense. All of the rigs in the game have three modes that can be switched on the fly with the face buttons, Speed mode allows you to move around arenas quickly at the expense of shields and power, Repair allows you to fix your damaged rigs in between fights and power mode increases the damage from your attacks. If you defeat three enemies in a row or collect enough pickups throughout the arenas then you can enter into an overdrive state that activates all three, essentially making you a whirlwind of death to your opponents for a short time. The gametypes are fun as well. 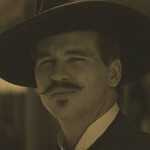 There are currently three in RIGS to get into and each of them are simple enough to understand. Endzone is your American Football game mode that sees two teams of three rigs fight over a football and try to get it in the other teams goal. Team Takedown is essentially your team deathmatch mode and then there is Powerslam which is a bit of a combination of the two. In Powerslam you have to takedown other rigs to achieve Overdrive mode, once you do you have to make your way to the floating ring in the center of the arena and jump through the top to score a goal. Powerslam is by far one of the best modes I have played in a competitive shooter and can get incredibly intense online with people blocking the goal to stop you from scoring or those moments where you are running to the goal within an inch of your life. Really fun stuff. While the sound of three game modes and only a small number of stages can seem limited there is plenty to unlock and achieve in RIGS over time. There are four basic robot types in the game, each with their own different style and abilities ranging from the Mirage class that is a good mix between power and speed with a double jump and the Tempest which is a flying Rig that can use an elevated vantage point to rain death down on opponents. There are also versions of these rigs with different passive abilities that you can unlock with credits, These include the vampire class that allows the rig to steal health from enemies as they kill them, or my my most used class which is the painkiller that heals friendly units when you are close by to them. There are a fair few of these combinations along with the native weapon combinations you get that is dictated by the class ability and the style of rig you have chosen to balance things out a bit. The best part about this unlock mechanic is that it is old school. As in no micro transactions or needlessly restrictive gates. 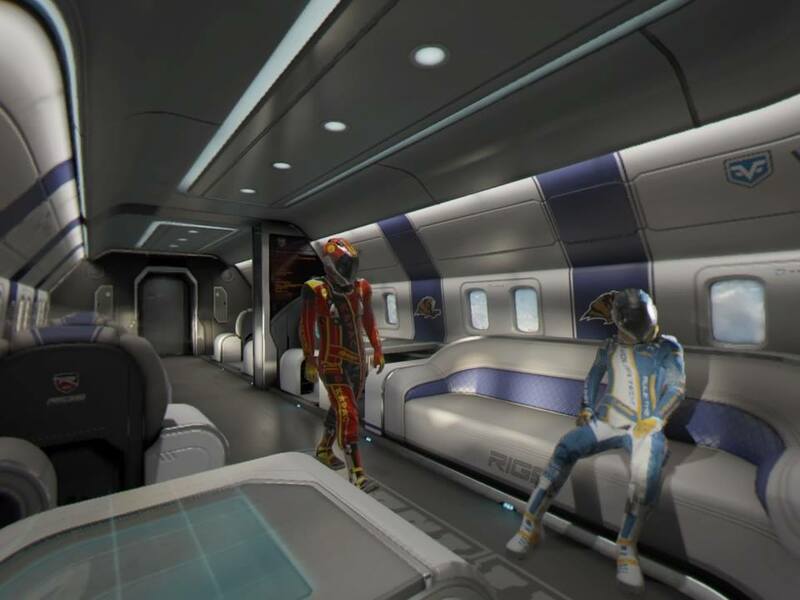 This goes for the cosmetic pilot rewards, such as the colourful visors and body suits. The kind of rapid movement in RIGS is one of the things that may scare off a few people. Similar to the Half Life example I mentioned before, the idea of moving yet not is something that can induce nausea even from the sound of it. RIGS has been very clever in the approach, while you are moving your character is also essentially not moving as they are sat in their exo suit. This created a placebo effect that meant I could quite happily engage full throttle despite not feeling the immediate movement, similar to that of a racing game. For those that would however Guerilla Games have made an effort in reducing some of the effects for people who would unfortunately suffer from motion sickness, each of which are able to be toggled in the comfort settings menu. By default the game offers a lens reduction effect which essentially blacks out the corners so that the main focus of vision is centered. I did find this jarring at first and I would suggest that if you can handle it then having the full view open is the best way to go. 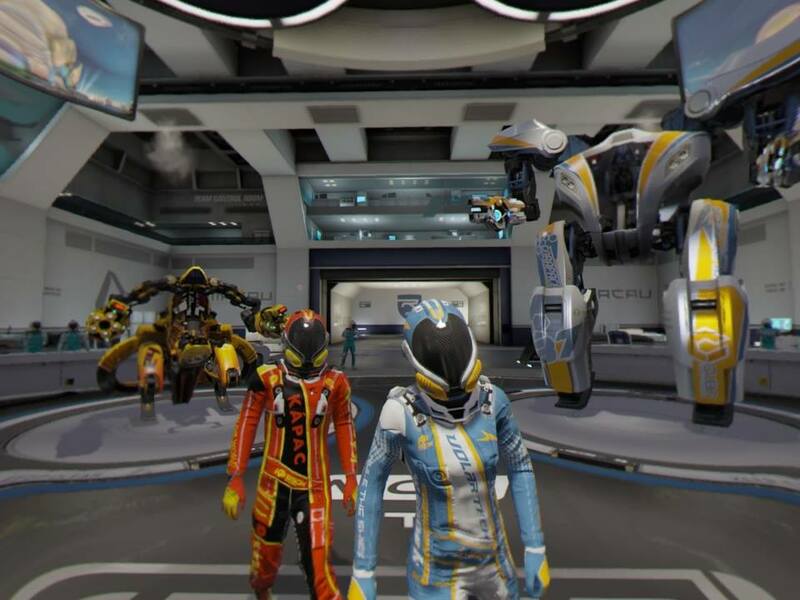 The sense of scale of RIGS is one of the best parts of the game and that is exactly what you should sign up for with VR. You can also turn off animations which play out after you are ejected from a rig, so you don’t suffer the vertigo of your pilot looking down at an arena while you pick a spawn point. NB: Due to the nature of VR, screenshots are not indicative of the visual quality in game. 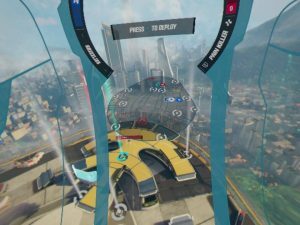 RIGS: Mechanized Combat League is a game that really shouldn't work but does. It steps aside from overbearingly realistic VR games before it and provides a simple and incredibly enjoyable alternative sports title. This is definitely one to consider if you are picking up a PlayStation VR soon. Grizz writes for us because Sonic Country hasn't been invented. He likes his retro, his indie and his full retail.